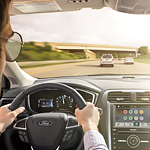 =Even though the Ford Fusion is a sedan, it features numerous technology features that would make you feel as though you're in a computer room instead of a car. 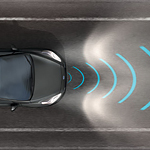 Stay connected with the outside world by using the FordPass Connect system that can be set up at Mossy Ford. When you're looking for a subcompact car with style, verve and excitement, the Ford Fiesta offers it all. One of our most popular cars at Mossy Ford, the Fiesta allows you to make an array of choices to personalize your ride and enjoy your style. Offering great value and exceptional handling at any trim line, the Ford Fiesta can be personalized for your taste. How do you know if you're choosing the right car? With a large number of options available, making the right choice can be overwhelming. Fortunately, our team here at Mossy Ford is here to help. Each member of our team is knowledgeable about the different options available to help find the one that best meets your style. The Ford Ranger is a long-standing favorite among truck enthusiasts. Now, Ford engineers have pulled out all the stops with new design features that are meant to please. Let’s take a look at what the Ranger has to offer. First, Ford Engineers made the Ranger more aerodynamic. They did this by including a low-rise windshield that makes the truck more aerodynamic. The wide grille also adds to the aerodynamic effect. The Ranger also gives you two options in cabs. Drivers can build their Transit Passenger Wagon to seat up to 15 passengers comfortably. The various wheelbase lengths create room for more people. The standard build comes with seating for eight. The long-wheelbase model gives you enough room to get up to 12 seats. The available Selectable Electric Power-Assisted Steering (EPAS) system offers three distinct settings to deliver the steering control that you want exactly when you need it. When drivers are searching for a new vehicle, they want one that offers all of the latest gadgets and technology. It is for this very reason that the team here at Mossy Ford so often recommends the new Ford Explorer. This popular three-row SUV is simply jam-packed with tech that the whole family is bound to love. The minute that Mossy Ford Pacific Beach took delivery of the Ford C-MAX, we knew this popular compact hybrid was going to sell quickly. Here are some of the smart features that have motorists in this region excited to buy a new vehicle. 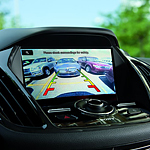 Ford announced that its 2019 lineup of cars, SUVs, and trucks will come equipped with the Ford Co-Pilot360, which is the most advanced standard driver-assist package on the market. At Mossy Ford Pacific Beach, we try to keep our San Diego customers up-to-date about the new features that come with our models. You can read further to learn about the Ford Co-Pilot360. Get ready to be wowed by the 2019 Ford Fusion when it hits the lot. This latest announcement from Ford comes with exciting details about the available features and performance capabilities of the new Fusion model. Drivers everywhere are eagerly awaiting their chance to test drive this exhilarating sedan.